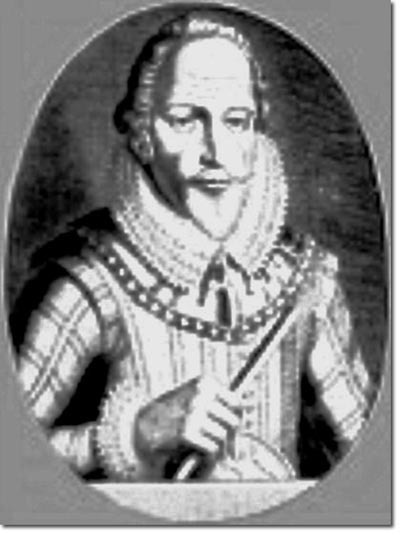 John Davies accompanied Thomas Cavendish on his attempted circumnavigation of the world from 1591 to 1593. The whole expedition was riven with dissent and dispute and ended in failure. The hoped for easy pickings of Spanish and Portuguese treasure failed to materialise. The expedition had problems with supplies as it travelled down the coast of South America and had a horrendous time in the Straits of Magellan. Eventually the fleet was scattered and they were blown back out into the Atlantic. It is at this point that it is supposed that John Davies spotted the Falkland Islands. He refitted on the mainland to make another attempt at the straits of Magellan but he was separated from the fleet and never saw Cavendish again.